For all tools (even donations) you can set how much of the transaction is or is not tax deductible. The Tax Deductible Amount is equal to Price of Ticket minus Market Value. So, in the case above, the Tax Deductible amount would be $150. But if for example, the Market Value of the ticket was $100, the Tax Deductible amount would be $50. If the Market Value is actually greater than the Price, just make them the same so the Tax Deductible amount would be $0. 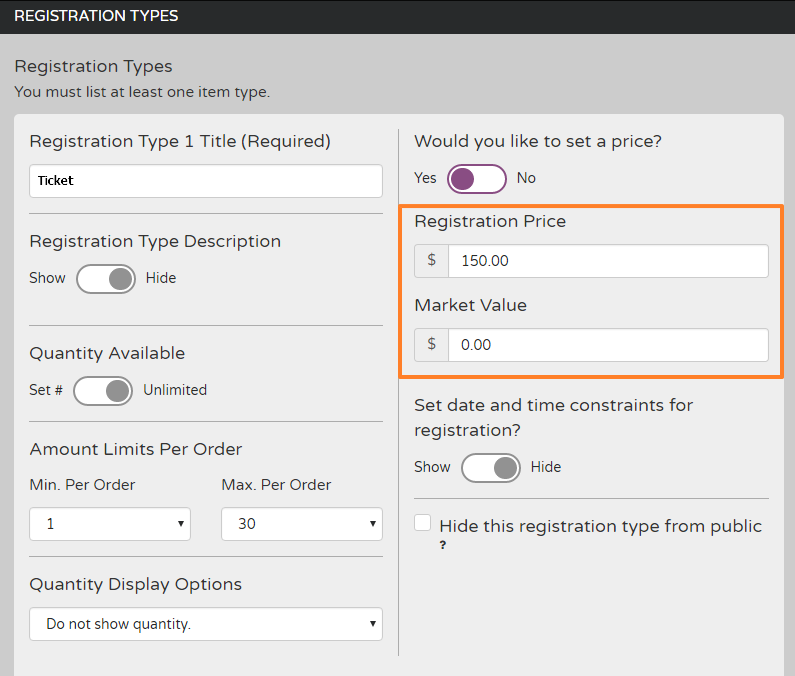 Note: If you have already sold a registration type with the incorrect tax deductible information, you cannot change this field retroactively. To change the information, you will need to set up a new Registration Type and add the correct info.